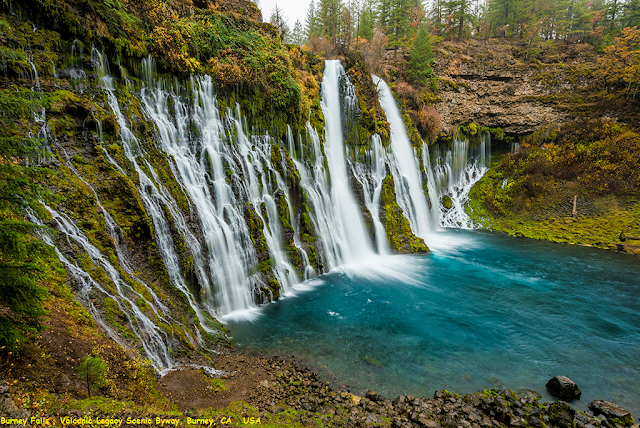 Burney Falls is a waterfall on Burney Creek, within McArthur-Burney Falls Memorial State Park, in Shasta County, California. The water comes from underground springs above and at the falls, which are 129 feet high, and provides an almost constant flow rate of 379 million litres per day, even during the dry summer months. Burney Creek is a tributary of the Pit River, with its mouth on the Lake Britton reservoir to the north.